The frequency of perinatal mortality and morbidity in Western countries has begun to stabilize, so that the remaining causes are clearly difficult to reduce. Among these causes is twinning; in relation to the frequency of twin birth (about 1 in 55 deliveries), twin are over-represented ten times as causes of perinatal and mortality and morbidity. Clearly, being one of twins is not incidental to the cause of any adverse outcome, but is probably a primary factor. All twins are at risk of invoking preterm labour, preterm ruptured membranes, pregnancy-associated hypertension and antepartum haemorrhage as “background” causes of increased rates of complications; but it is the subgroup of twins with monochorionic (MC) placentae who suffer particularly high rates of mortality and morbidity, directly related to placentation. 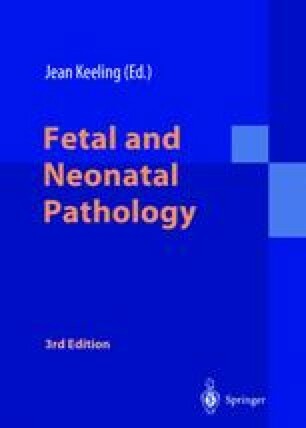 Therefore, all investigations of adverse outcomes in multifetal pregnancy need to take account of placental anatomy; and in turn, placental anatomy is related to zygosity.